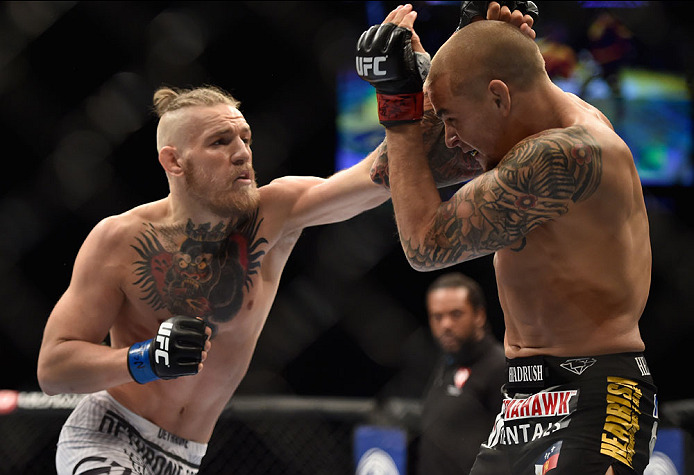 Tickets for UFC Fight Night: McGregor vs. Siver go on sale on Thursday, November 20. On January 18, the UFC’s breakout star of 2014, Dublin’s Conor McGregor, will kick off his 2015 campaign with a return to the place where he first made his name in the United States, as he takes on fellow featherweight contender Dennis Siver in the main event of a special Sunday edition of UFC Fight Night at TD Garden in Boston, Massachusetts. FOX Sports 1 will air the five-round featherweight matchup, which marks McGregor’s first visit to Boston since an August 2013 victory over Max Holloway , as the headliner of a two-hour main card beginning at 10pm Eastern time. Since then, “The Notorious” one has been unstoppable, running his unbeaten UFC slate to 4-0 with 2014 knockouts of Diego Brandao and Dustin Poirier, both of which earned him Performance of the Night awards. In the process, the 26-year-old has sold out the O2 in Dublin and become a crossover star that has captured the imagination of his fans both at home in Ireland and abroad. Germany’s Siver may provide his stiffest test yet though, as the 35-year-old veteran has the fight-stopping power and solid ground attack to beat anyone at 145 pounds. Unbeaten in four of his last five bouts, including a Fight of the Night victory over Charles Rosa on October 4, Siver’s UFC record also has seven post-fight bonuses attached to it, setting up what could be the first Fight of the Year candidate for 2015.